Perched atop a verdant slope of Kep National Park and overlooking the Gulf of Thailand, this welcoming retreat provides a unique place to relax and enjoy the enthralling scenery. Bask in the sun beside the infinity and garden pools, take the 15 minute stroll to the beach, be pampered at the spa or treat yourself to coffee and pastries at the Bakery. 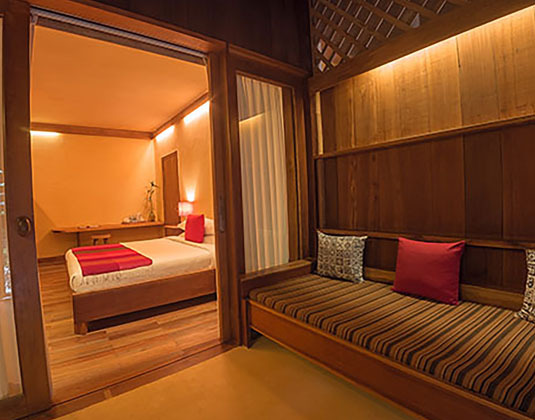 Later, perhaps indulge at the Secret Bar & Restaurant before retiring to your room, each contemporarily rustic and uniquely created to be one of a kind, but all provide modern day comforts. 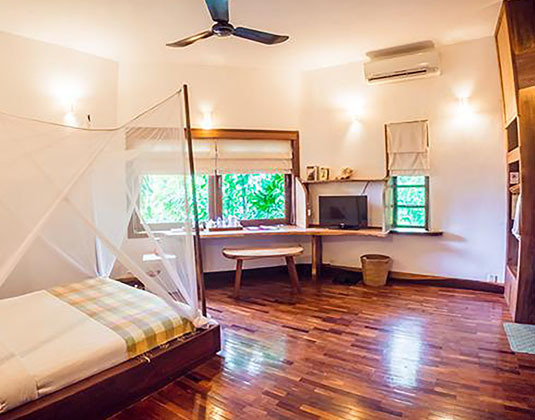 In Rosewood rooms with air-conditioning, shower, mini bar, safe, living area and sitting area on the veranda, with views of the surrounding tropical forests. 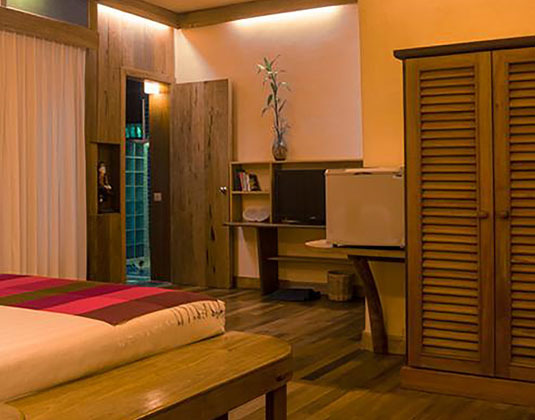 Large cave rooms which overlook the garden * hillside villa room which also have forest views * spacious vacation villa room * wooden suite bungalow which offer views of the sea. 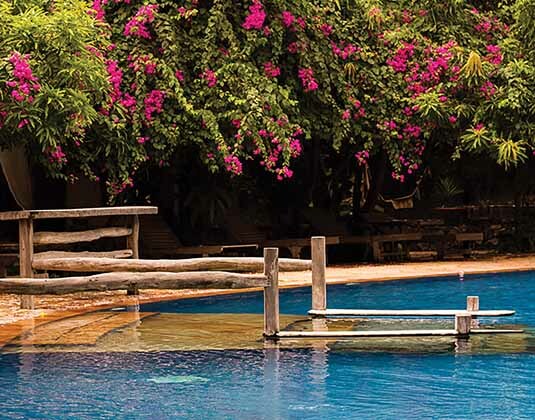 2½ hours by road from Phnom Penh airport.